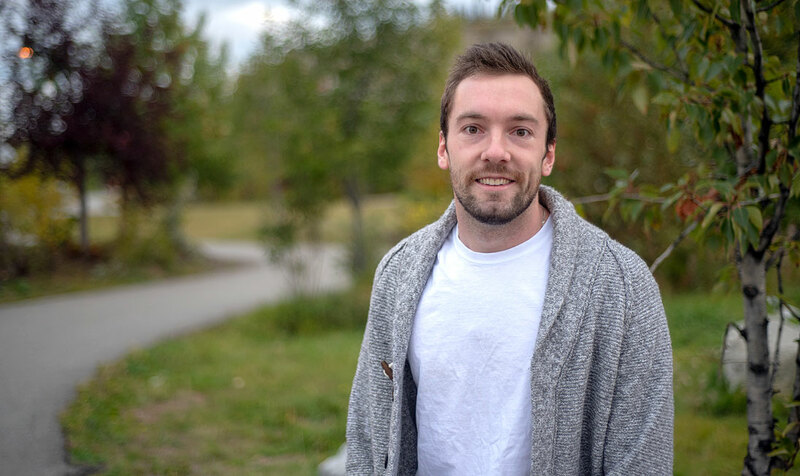 Two years after moving to Whitehorse, the city has become home to Oshea Jephson, who’s hoping to take on the role of city councillor. Jephson announced on Thursday his plans to run for council in the Oct. 18 municipal election. “Like so many more before me, moving to Whitehorse was a call to adventure and the draw of the unknown,” he said in a statement. Jephson has worked in communications for the Yukon government since July. He came to the territory from Vancouver in 2016 to work as a reporter for CKRW. “As a news reporter in a smaller community, one of the highlights was being able to cover municipal politics,” he said. He went on to praise some of the current efforts underway by the city such as those outlined in the new downtown plan, “which has some exciting ideas for a downtown core with a civic plaza for arts and entertainment” as well as work to improve the transit system and plans for the Marwell neighbourhood. Noting the relationships with local First Nations, Jephson said he would like to continue improving on those. He went on to highlight a number of issues that could be addressed, including the rising housing prices. “Increasing housing stock in line with neighbourhood aesthetics throughout the city would be a key priority,” Jephson said. “The 2018 ‘Point in Time Count’ found there were 195 people who experienced homelessness in Whitehorse. He then pointed to traffic and parking as a “big stressor” for those in the downtown core, suggesting that reducing duplicate pedestrian crossings along with education efforts for both drivers and cyclists and improving access and available parking spaces is critical for a downtown that supports both business and culture. He noted that “none of this is possible unless people turn out to vote. Municipal elections have some of the lowest voter turnout. Let’s change that. In the 2015 municipal election, a total of 6,650 ballots were cast. While there were 18,675 names on the voters list for that election, some were unable to vote as they lived outside of city limits, with names provided to the city by Elections Canada that included voters just outside the municipal boundaries. To cast a ballot in the municipal election, voters must have lived within the city for at least one year, be a Canadian citizen and at least 18 years old. Eileen Melnychuck, a unsuccessful Yukon Liberal Party candidate in the 2016 territorial election, also plans to run for council. She was unavailable for an interview either Thursday or before press time today. Having served and serving on many non-profits in our community, I am disturbed by this comment. "Eileen Melnychuck? No thanks." Eileen is always thoughtful and cares. I wish all people thought that their best role in contributing to community was not being an internet troll and actually doing the work. Eileen does the work. I love parks....says you, and that is okay. Carrying a few more stones many of them, our king must have searched long for his re-election photo. Not any personal attack, but rather illustrated just how well nobility feeds on the backs of the mere peasants....as in our civic case...suggests very very well. Common scenario in the top level bureaucracy, most cannot see their feet without the aid of a mirror. Perhaps we should have a fitness test for nobility, like firefighters must qualify for? How can one make healthy long term decisions for a community, when one chooses not to for themselves? Legitimate...opining, hopefully moderation will see that too? It's not a trough Josey. Council members make very little for the time they put in. Maybe if you compare it to working at Wallmart it might seem like a sweet gig. Or if you are a musician or a clown it may seem like you are at the trough. I doubt SJWs is a musician, I am guessing you are a senior with no gold plated pension and 2 hungry dogs to feed. Very seldom has anyone said anything good about the council members and it's so hard to please people because issues are so polarized. The one exception would be voting for no tax increase or lower taxes. One council member said they do not read newspaper comments due to all the crazy people out there. So I guess all the negative comments and many fine forms of formative satire do not make it back to the king and council. Is that right eh, seeking a spot at the trough is he? Cannot wait to hear all the things us hillbillies have been doing wrong, and all the “right” solutions regurgitated outta he. He didn't said much about working towards cheaper lots development. CoW's regulations for development is making them very expensive and that's why low income can't afford a home. I guess is one way to keep poor people out of Whse. The new Gold rush: moving to The Yukon and working for YTG.